Go on a unique gastronomy tour of Europe in Adore Puzzle 2: Flavors of Europe, an incredibly fun Puzzle game! Each level is designed to initiate you into the various cuisines of European countries. Bright colors and challenging gameplay will keep you coming back for seconds! 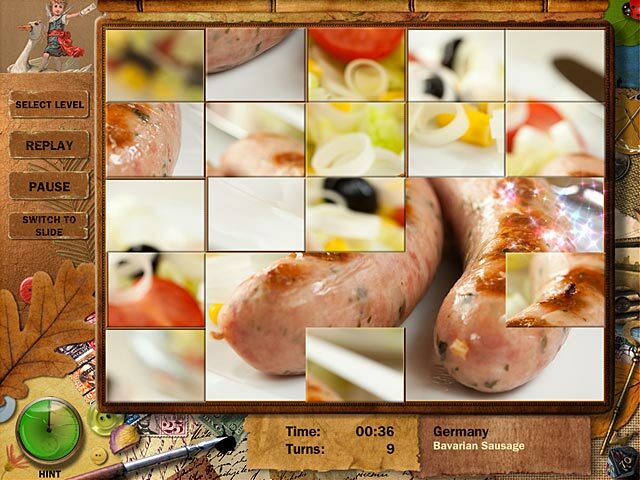 Play through two different game modes as you learn about the food of Europe in Adore Puzzle 2: Flavors of Europe! Go on a gastronomy tour! 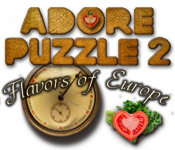 Adore Puzzle 2: Flavors of Europe is rated 2.9 out of 5 by 7. Rated 5 out of 5 by nagcen from Loved this game! Ok, I am an older player. I loved this game. Unfortunately it ended too soon. Sugggestions: Give an option to increase the number of squares; have more pictures. I love this type of game. In the past, I could only find this in bonus type section of a hidden object game. I would buy all games like this. Rated 4 out of 5 by grammabeauone from As good as the first one. Another good game to relax by, just like the first one. Just be sure you're not hungry when you start. You might have to take a break and raid the fridge before you finish. Rated 3 out of 5 by Scarlitlake from Way too short I like this kind of game. It's good for unwinding, fairly easy but fun. But I was shocked when it was over already. Definitely not worth the full price I paid. Rated 2 out of 5 by Danisem from Same bad grayscale puzzles! Disappointed that they did not get rid of the grayscale messed up puzzles that don't even make a picture! Rated 2 out of 5 by priyamiabelle from Disappointed, Much Too Short Much too short - did it in a hour. Should have several more levels with more different food pictures for each country. Rated 2 out of 5 by Rebr2009 from Just for kids Although it improved somewhat (images are more appropriate to puzzle), the Adore 2 is still a pretty easy game. It's not a puzzle, is a set of blocks to be relocated - swapping or sliding. JUST IT ! Starts with 16 pieces, and until the 7th country, has only 42 pieces. Maybe a good game for kids. Rated 2 out of 5 by shorenuf from Hungry for this sort of puzzle? Read on… Take a virtual tour of Europe's traditional foods. Not exactly jigsaw puzzles -- rather pictures divided in a grid of scrambled boxes. Put the pictures back together by swapping the boxes using just visual reference, or as slider puzzles where the boxes are also numbered for reference. 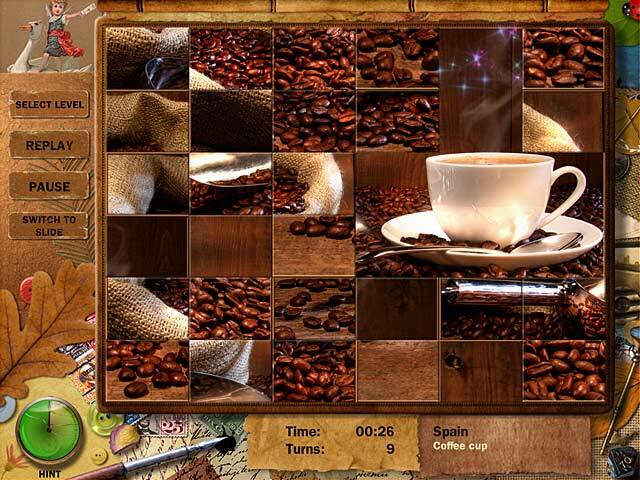 You can challenge yourself to complete the puzzles in the shortest number of moves and the least amount of time. It is widescreen. The pictures might make you hungry. The first country has s a 4 x 4 puzzle grid and a 3x3 slider grid -- piece of cake! But the grid divisions get increasingly larger as you progress. Seriously -- does anyone want to do this exercise over and over and over again as those boxes get more numerous and smaller and smaller and smaller? At the very best it could be a go to game to do a few countries at a time. May I suggest you might prefer Adore Puzzle 1 where you concentrate on scenic places to visit -- the Brugge Canal as opposed to Brussels sprouts, for example. The presentation is uninspired. There is no accompanying text describing the 40 odd countries or their cuisine. The background is never changing and unattractive. So, you read this and tried the game anyway? You liked this kind of gridded puzzle challenge? Well so do I! Please, check out another challenging game -- Patricia's Quest for Sun. It is beautifully hand drawn, the completed puzzles are stunning, and it has a curious story to follow. 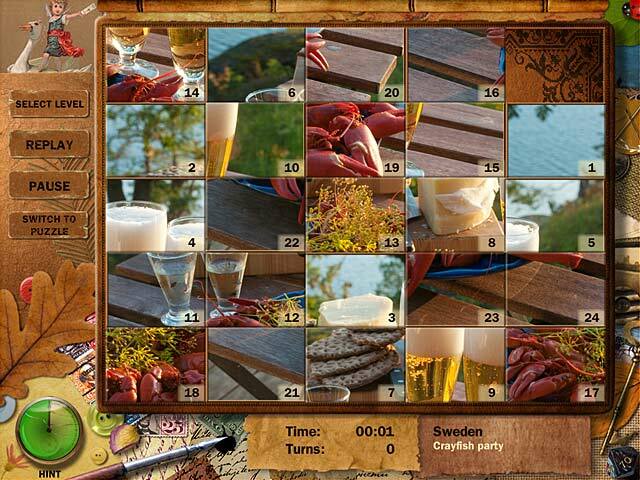 Go on a unique gastronomy tour of Europe in Adore Puzzle 2: Flavors of Europe, an incredibly fun Puzzle game!